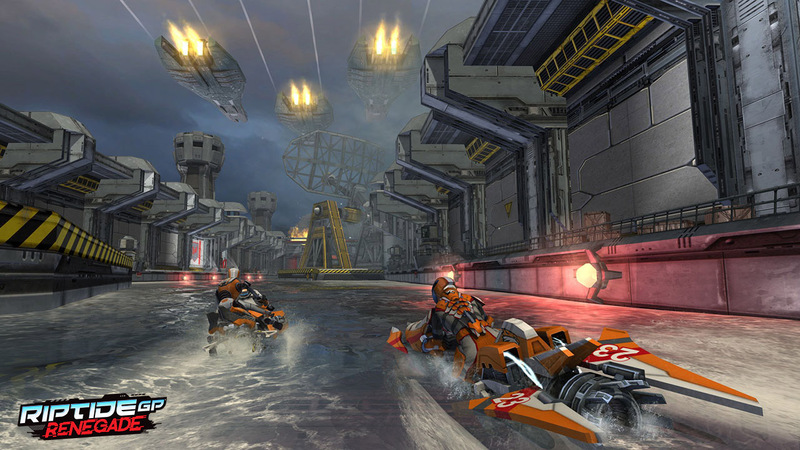 Explore more games and downloadable content for Riptide GP2! 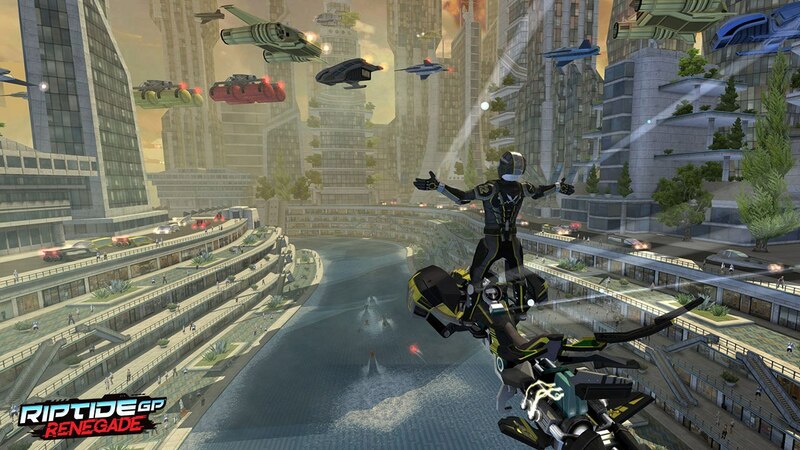 Play through the single player career to take down bosses and build your crew. 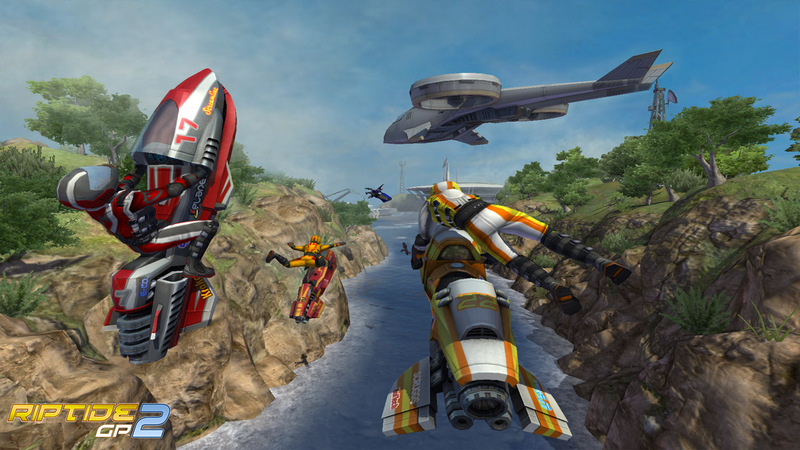 Then, take your skills online for the ultimate test as you battle opponents around the world in 8-player online matches. Challenge your friends for leaderboard supremacy in the ghost-racing challenge mode. You can even play locally in split screen races with up to 4 players! 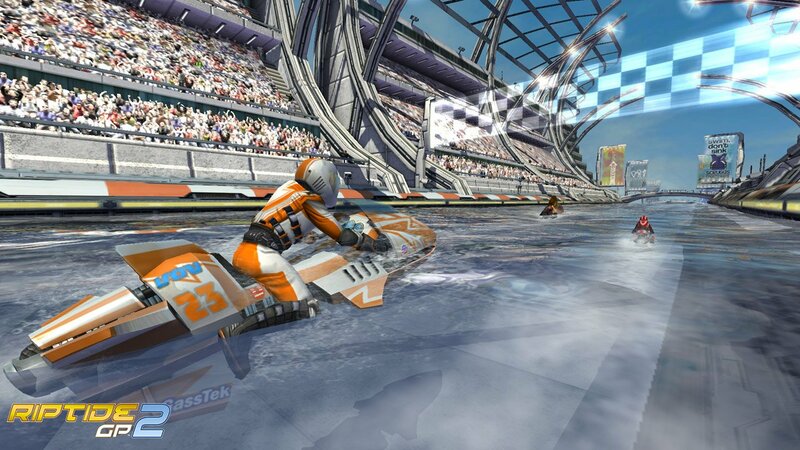 Play the breakout hit that redefined arcade water racing! 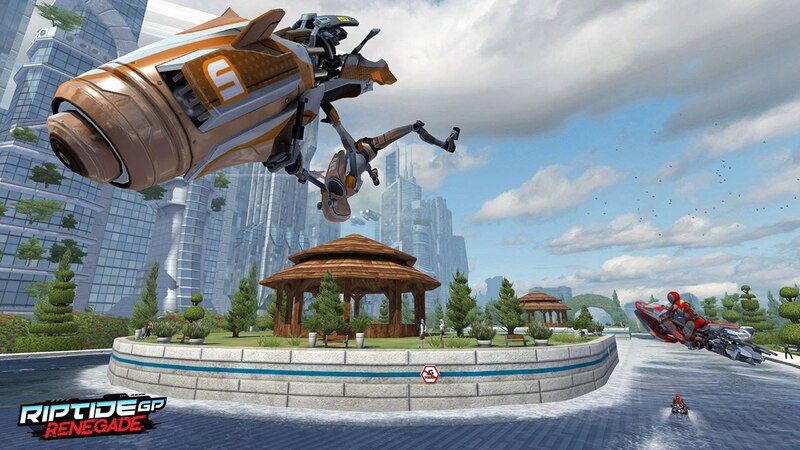 Race through futuristic cityscapes, twisting canals and rivers, open harbors and mysterious research facilities. Build a collection of powerful watercraft and customize their performance and paint schemes to suit your individual style. Trade elbows with friends in up to 4 player split­screen matches right in your home! 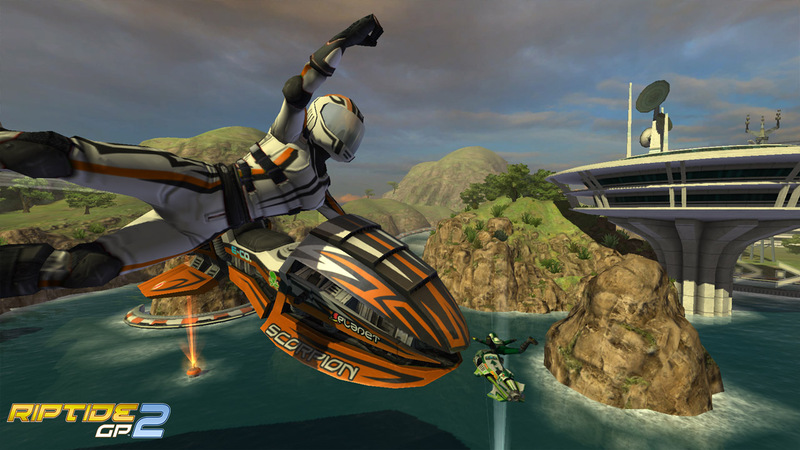 Copyright 2013-2017 Vector Unit Inc. Riptide GP and Vector Unit are registered trademarks of Vector Unit Inc in the US and other countries.